Designed for FM radio transmitters, this amplifier uses a single NXP LDMOS push-pull transistor to produce 900 to >1000 watts! 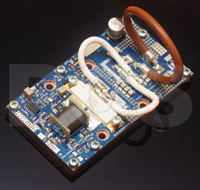 An excellent heatsink with strong technical background in RF amplifiers is required. Model PCS LPF 1500W, PCS LPF7000 or better are the only qualified low pass filter for this product. System integrators who plan to provide their own low pass filters must take great care to minimize any reflection in the filter. Quantity discount is available! Detailed PDF manual available on request. - Temperature compensated bias designed by NXP. - Bias disable pads facilitate integration into amplifier systems that employ automatic VSWR protection.